Maksim Isaev, was born in 1965 in St.Petersburg. After finishing the education in Serov’s Art College was working as stage designer in theatre “Fairytail” in St.Petersburg. In the same time he started to work as decorator and artist in theatre “Yes – No”, directed by Boris Ponizovski. 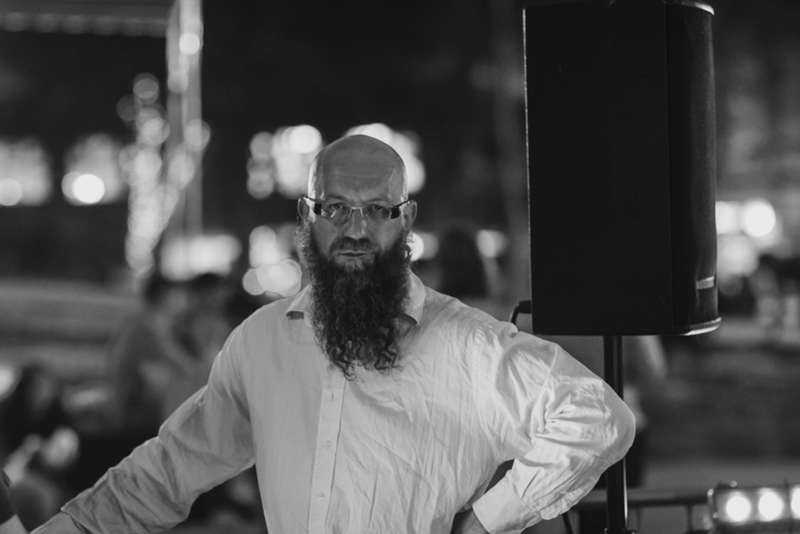 Maksim Isaev along with a few other actors from “Yes – No” has formed the performance group AKHE in 1989 and since that time as a member of the group he is repeated participant of theatre festival, art exhibitions, artprojects. From 1996 together with Pavel Semtchenko he started to work as a director and creator for AKHE and moved the group more to the theatre world. He paints the pictures, interested of connections between theatre, literature and real life as well as about transformations “signs” in different art’s levels.